← In the News: Wax, Wits, William James, and more! Joseph Massad. Islam in Liberalism. Chicago: The University of Chicago Press, 2015. 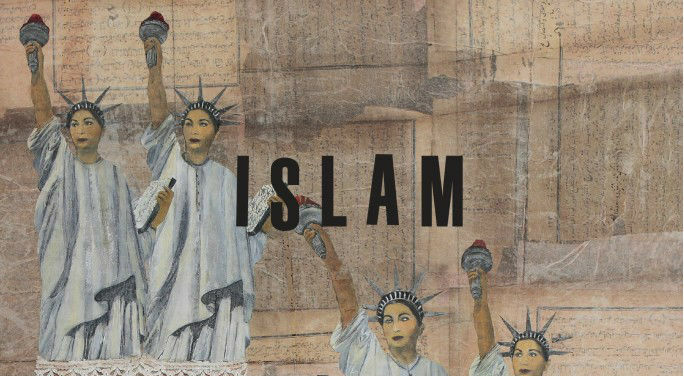 Joseph Massad’s new book, Islam and Liberalism, traces how liberal thinkers and policy makers have historically produced an image of Islam as an immanent antonym. From their inception, European liberal discourses on citizenship, democracy and political freedom have evolved over and against a constructed image of Islam that served as their wholly other. As Europe has defined itself as a propagator of democracy, liberal freedoms, and equality it has pitted itself against an image of Muslim societies that it sees as despotic and condemned to servitude. For Europe, Islam served as an internal constituent element that had to be exorcised and set apart. Massad presents a genealogy of Islam’s projected image tracking how it continues to operate in liberal and Orientalist imaginaries. In order to accomplish this task, he engages with vast bodies of literature that are devoted to the study of a so-called Islam. He reads from the history of Western feminism, queer theory, and psychoanalysis, only to suggest that these literatures tell us more about Europe and its historical disavowals and displacements of self more than they ever do about Islam itself. Massad exposes a certain European jouissance in projecting its own anxieties, disappointments and expulsions on to Islam and Muslim societies in order it appear to itself as the paragon of superiority. A central preoccupation of the book revolves around the politics of translation. Translation is not rendered as a benign and apolitical act of finding equivalent terms between two languages, but an act that is embedded in a network of power relations (relations that reflect the grave geopolitical and cultural imbalances in the present world order). The (un)translatability of certain conceptual terms is determined and structured by power dynamics that render some languages ‘stronger’ than others. This becomes all the more evident in the last three chapters of the book where Massad interrogates the politics of translation underlying certain problematic terms such as those involved in the study of ‘Islamicate sexualities’ as well as the nascence of ‘queer’ studies that focuses on the Middle East. Most importantly, he asks why certain Arabic terms remain untranslatable on the grounds of their ‘foreignness’ to the European sensibility while others are perfectly translatable leaving the rich conceptual history of certain terms in their own native context. As an example, Massad – and Talal Asad before him – examines the Arabic word din, which, in English, is usually translated into ‘religion’. For Massad, the word din has far richer connotations for its speakers-believers than the definition ‘religion’ can capture. The Arabic term would designate not only faith as disseminated by Prophet Mohamed but a complete way of life that is lived in accordance with Islamic scripture and tradition. Another example of inadequate and politicized translation comes in the fourth chapter, where Massad charges Fathi Ben Salama, the Tunisian-French psychoanalyst, with transliterating the word Allah in his psychoanalytic study of the prophet’s biography to an exotic effect while it should have been simply translated into the French, Dieu (since the Arabic word circulated among Arab Christian tribes even before the appearance of Islam). The more problematic aspect of translation rests in translating Western conceptual terms into Arabic. Massad criticizes how certain anthropologists and historians falsely take ‘identitarian’ categories of gay, lesbian and queer to be universal without knowing that such categories are mostly native to Europe and North America. A case in point involves the translation of the term “queer” into Arabic. In their attempt to translate the Encyclopedia of Women and Islamic culture from English into Arabic, two Egyptian translators have lamented that they could not find an Arabic equivalent for the word ‘queer’. The blame is shifted to a certain lack on the part of Arabic language, culture and ‘sexuality’ since it could not offer a proper equivalent. Through this example, Massad highlights how some languages are perceived to be weaker (or perhaps in this particular context, more heterosexually-centric) than others are believed to be. The ‘lack’ is treated as some kind of malaise on the part of one language and its community of speakers (Arabic in this case) over and against another more ‘open’ language with liberatory potentials (English). In the last chapter, Massad examines how a number of European philosophers have attempted to transpose certain conceptual terms into the Arabic lexical terrain by means of ‘provincializing’ them; by claiming that their conceptual terms have roots in Islamic scriptural traditions or at least maintain conceptual affinities to them (or in the formulation of these concepts, the philosophers have drawn inspiration from Islamic sources). A case in point is the way Louis Massignon, Jacques Derrida, and Gil Anidjar invoke the name of Prophet Abraham in their attempts to salvage the lost threads of kinship between Jews, Muslims, and Christians beyond a long history of religious animosity between them. According to Massad, when Massignon, invokes the prophet’s name, in his essay The Three Prayers of Abraham, he invokes him as a symbol of unity among the three monotheistic traditions in an attempt to establish some common theological ground between them. Massignon invokes the figure of Abraham as the site of such unity and common origin claiming that it is in accordance with the ways in which the prophet’s name is invoked in Islam. Massad contrarily argues that the Quran does not contain the term ‘religions of Abraham’ (‘adyan Ibrahim’, the Arabic plural of the word ‘din’) whereas the more correct term would be the Arabic ‘Millat Ibarhim’ (loosely translated as ‘ways’,‘traditions’ or ‘path’ of Abraham). The term ‘din’, as outlined above, has different connotations for Muslim speakers-believers. ‘The point’, argues Massad, ‘is simply that neither the notion of “religion” (let alone “religions”) nor “din” is attributed or attributable to Abraham, even while he is recognized as the first prophet to worship the one god by heeding his call’. According to Massad, the turn to the ‘Abrahamic’ exhibits other potential dangers for the political reality of the Palestinian question. What he fears is that Massignon – and Derrida after him – unintentionally turned the ongoing occupation of Palestine to an image of a historical fraternal feud among Abraham’s descendants; each with his own messianic claim to the ‘holy land’ (as well as God). This image, Massad suggests, is only a shadowy variation of the European liberal discourse that treats the Arab-Israeli conflict as a battle among equals not as a case of outright colonization. Along this line of thought, Massad sees Massignon’s (as well as Derrida’s) messianic depictions of the conflict as an attempt to avoid the present reality of the Israeli state and its colonial practices. He writes, “The problem with the deployment of the Abrahamic, however, is that it (mis)places the religion, eschatological messianism, and, finally, theory over and against, or at the expense of the political.” For Massad, seeing the Palestinian question through a messianic lens runs the risk of sidetracking the grave political realities of Israeli occupation, which Palestinians have to confront on daily basis. In his critique of the Abrahamic turn, Massad condemns the shift from the political to the theoretical as an attempt to ‘rise above’ political reality of the Palestinian people in the name of common ancestral roots, messianism or eschatological claims. In such shifts, he also traces how political reality is disfigured and redefined in accordance with the theoretical edifice of the philosophical projects that speak in the name of the Abrahamic. I wonder if I could further push Massad’s continual emphasis on the necessity of uncovering the political reality behind certain conceptual terms by inquiring about the place of the Arab revolutions in his book. As an Arab reader, I was a little agitated by the fact that the Arab revolutions passed almost like shadows in the book. Of course, Massad’s book is chiefly devoted to examining and uprooting liberal illusions about Islam. He even goes so far as to announce in his introduction that he is uninterested in examining Muslim resistances or responses to such fictive constructions over history. Despite the fact that Massad wrote, revised, and finalized the book between 2008 and 2013, even spending some of that time in Cairo. Yet, war-torn Syrian cities and tear-gassed Egyptian streets of those same years seem to have but spectral presences in the book. I would argue that this silence impoverishes Massad’s book by converting it into an enclosed dialogue between orientalist depictions of Islam and refutations of such representations. In the midst of this dialogue, nothing is heard from the outside. It becomes a dialogue only in the corridors of Middle East studies departments in the United States. Massad never uses the word ‘revolution’ in his book but instead he chooses to focus more on how the term ‘Arab spring’ was coined in Western media and political circles. Taking up Massad’s own line of inquiry about the politics of translation, I wonder how would engage with the translation of ‘revolution’? Have Arab revolutions already failed because of their suspicious cross-over from a foreign lexical landscape to our own or are such terms already always faithful to their original European contexts including their tragic ends. I am asking this question because ever since the Arab uprisings had began, Western media chose to focus on how those events were only the passive iterations of past European revolutions that occurred in the nineteenth century (affirming that the Arab ‘uprisings’, in sum, were belated replicates of the European political upheavals of 1848 also known as the ‘spring of nations’). If we follow Massad’s line of inquiry, it comes awfully close to aligning with this European view of the ill-fated Arab uprisings. I would venture to say that views, the media’s and Massad’s, are symptomatic of a very conservative view of translation. Because of its foreign roots, the Arabic equivalent of the word ‘revolution’ (thawra) will never have a different life of its own in another landscape. It is already prone, almost fated to be a shadowy version of the original. Fouad Halbouni is a PhD candidate at the Anthropology department, Johns Hopkins University. He currently resides in Cairo, Egypt. His present research project focuses on the modern history of the Coptic Orthodox Church.